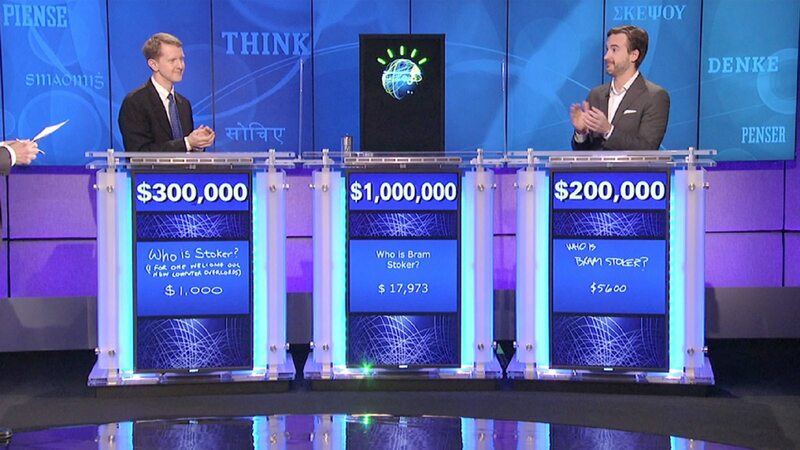 Developed by a research team led by principal investigator David Ferruci, IBM Watson is a question-answering computer system with the ability to answer questions posed in natural language. The IBM DeepQA project that invented Watson was named after the company’s first CEO and industrialist Thomas J. Watson. The computer system was initially developed to answer questions on the television quiz show Jeopardy and in 2011, competed against the legendary champions Ken Jennings and Brad Rutter, snatching the first place prize money of $1 million, prompting a resounding applause by the contestants, studio audiences as well as viewers all over the world. Watson was built to apply advanced natural language processing, knowledge representation, information retrieval, automated reasoning and machine learning technologies to the field of open domain question answering. The key difference between QA technology and traditional computer document search lies in the way the action is performed; while document search takes a keyword query and returns a list of relevantly ranked orderly results, QA technology takes a question expressed in natural language, seeks to understand the question in much greater detail, and returns a precise answer to the question. Recent years have seen Watson evolve with extended capabilities, including changing to take advantage of deployment models such as Watson on the IBM Cloud, machine learning capabilities and optimized hardware available to researchers and developers. IBM Watson is no longer a Q&A system but can now ‘see’, ‘hear’, read, ‘talk’, ‘interpret’, ‘understand’, ‘reason’, ‘taste’, ‘learn’ and ‘recommend’. I am sure a lot of people from computer science backgrounds will be yearning to know the type of software making all these ground breaking functionalities possible. Watson uses IBM’s DeepQA software and the Apache UIMA (Unstructured Information Management Architecture) framework. The system itself was written in various languages, including C++, Java and Prolog, and runs on the Linux SUSE Enterprise Server 11 operating system using the Apache Hadoop framework to provide distributed computing. Watson’s hardware is workload-optimized, integrating massively parallel POWER7 processors and built on IBM’s DeepQA technology, which the system uses to generate hypothesis, gather massive evidence, analyse data and make an evidence-based decision. A cluster of ninety IBM Power 750 servers, each of which uses a 3.5 GHz POWER7 eight-core processor, with four threads per core. In a grand scheme, IBM Watson has 2,880 POWER7 processor threads and 16 terabytes of RAM. John Rennie said Watson can process 500 gigabytes of data, equivalent to 1 million books per second. The cost of the hardware as estimated by IBM’s master inventor and senior consultant Tony Pearson coming in at around $3 million, with Linpack performance that stands at 80 TeraFLOPs, accounting for about half as fast as the cut-off line for the Top 500 Supercomputers list. A TeraFLOP is 1 trillion Floating Point Operations, it is a way to measure the computing power of supercomputers. More specifically, the number of teraFLOPs is calculated by the amount of time it takes a supercomputer, to run a coded benchmark of a set of floating point operations, usually measured per 1 second. 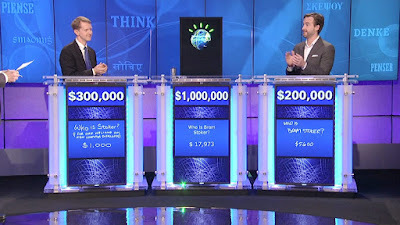 According to Rennie, all content stored on Watson for the Jeopardy game resided in its RAM because data stored on hard drives would be too slow to compete with human Jeopardy champions. Watson’s sources of data include dictionaries, encyclopaedias, thesauri, literary works and newswire articles. Further information is absorbed from databases, ontologies, taxonomies and specifically WordNet, Yago and DBPedia, providing millions of documents and reference materials that Watson can crawl through to build its knowledge. Watson’s avatar was inspired by IBM “smarter planet” logo. A corporate initiative of the information technology company that seeks to highlight how forward-thinking leaders in businesses, government and civil society around the world are capturing the potential of smarter systems, to achieve economic growth, near-term efficiency, sustainable development and societal progress. Some examples of smart systems include smart grids, water management systems, smart-motorway solutions for traffic congestion problems, greener buildings, smart city air purification systems and many more ideas still in development. Historically, these systems have been difficult to manage due to their massive size and complexity. IBM is advocating a strategy to provide, enable and manage new ways of monitoring, connecting, and analysing the systems, business, civic and nongovernmental leaders are currently developing. IBM will provide the technology and process management capabilities and, outside the realms of technology, to advocate for policy decisions that could “make the planet smarter”. In November 2008, IBM’s Chairman, CEO and President Sam Palmisano, during a speech at the Council on Foreign Relations, outlined a new initiative for building a “Smarter Planet”. The speech emphasises on how the world’s systems and industries are becoming more instrumented, interconnected and intelligent, and that leaders and citizens can take advantage of this state of affairs to improve these systems and industries. A follow up speech at Chatham House in January 2010 called the “Decade of Smart”, highlighted dozens of initiatives in which world leaders created smarter systems to solve the planet’s most pressing challenges. The speech aims to inspire others to follow the leads of these innovators by helping to create a smarter planet. 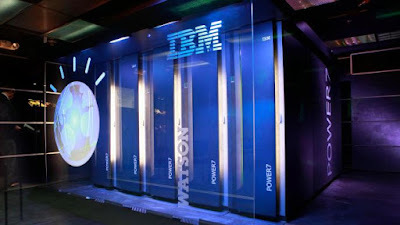 IBM announced the Smarter Computing framework to support Smarter Planet on March 1, 2011. An argument presented by philosopher John Searle that “Watson, despite the machine’s impressive capabilities – cannot actually think. Drawing from his Chinese room thought experiment, John claims that Watson, like other computational machines, is only capable of manipulating symbols, but has no ability to understand the meaning of those symbols”; however, John Seale’s experiment has its detractors. Waking up to news about the invention of a supercomputer capable of processing 500 Gigabytes of data or 1 million copies of books, without a shadow of doubt, sent shockwaves through the entire scientific community. In general terms, Artificial Intelligence machines operate on a concept known as Probabilistic Methods of Uncertain Reasoning; solving problems in planning, learning, reasoning, perception and robotics, operating with agents that provide incomplete or uncertain information. IBM Smarter Cities is an initiative of Smarter Planet, created to provide hardware, middleware, software and service solutions for city governments and agencies. The solutions integrate existing IBM Cloud Computing technology into analytics, mobility and social business. The Chinese city of Yinchuan in partnership with ZTE Corporation, lead the way in using smart city technology to improve the daily lives of over 2 million people. Some facilities include free public Wi-Fi spaces, notice boards that give to-the minute weather information, traffic and bus arrival time information, facial recognition software that autonomously determines if an electronic gate should swing open for residents, or if security personnel should be alerted for flagged individuals such as criminals. In this city, a bank of passcode-enabled refrigerated lockers sits beside passengers to store perishable goods, solar-powered dustbins that flap open when approached by a person, self-compacts the rubbish and alerts the disposal company when the bin is full. For a yearly subscription cost of $40, citizens get a smartphone-sized device that can take 22 different health condition measurements, ranging from heart beat and body temperature, to bone density and blood sugar levels. The device communicates with an app that sends results to the cloud, where healthcare professionals can monitor the data and reach a diagnosis or prevent the occurrence of a fatal health event. Putting into perspective how much Smart City technology has streamlined the government administration of services in Yinchuan, an average of 14,000 people pass through the five-storey Citizen’s Hall daily to renew their passports, driving licence, start a business or get documents notarized. A civil service process that contains 69 government stamps, from 26 separate departments have now been streamlined and replaced by a single approval seal. This idea behind streamlining all kinds of government functions and approvals of better services for residents, has seen administrative red tape cut significantly, allowing a new business to be approved in just one day instead of the 25 day wait times previously practiced. A host of over 30,000 security cameras and an array of sensors use Big Data analytics technology, coupled with updated laws to enforce punishment for bad practices like driving without a seatbelt and using a mobile phone while at the wheel of a car. Water purification systems in the neighborhood provides drinkable water from a tap that exceeds European and US standards. 1. Peterborough - England in 2010, visualizng the city systems using data to accelerate collaboration and better decision making. 2. Surat – India in 2014 implemented an emergency response system using IBM technology. 3. New Taipei City Police in 2013 implemented a solution to enhance police productivity and ensure public safety. 4. Tucson – Arizona in 2013 implemented the water conservation system focussed on smart metering and water leak detection. 5. Dutch water management system is transformed by Digital Delta in 2013. On February 6, 2014, IBM reportedly plans to invest $100 million in a 10- year initiative to use Watson and other technologies in Africa to address development problems in healthcare. Watson’s natural language processing, hypothesis generation and evidence-based learning capabilities is being explored to contribute to clinical diagnosis support systems, for use by medical professionals. Many partnerships with medical groups, hospitals and cancer research centers have seen IBM Watson being used to analyze the knowledge-base of 1000 cancer specialists in an effort to improve survival rates in countless affected patients worldwide. Watson is employed by developers to create chatterbots, to provide interactive conversation engines for children’s toys. IBM Watson has entered partnerships with Blackboard, Pearson Education, Sesame Workshop and Apple to provide electronic text books offering natural language translations and one-on-one tutoring to students. Ashok Goel, a professor at Georgia Tech, used Watson to create a virtual teaching assistant named “Jill” that answered questions with 97% accuracy. A research group of Sabri Pllana have also developed a teaching assistant for learning parallel programming using Watson, something which according to surveys has been effective at educating novice students of programming subjects. Watson is being adapted to address the growing problem of millions of people growing without any education. In 2014, the EFA Global Monitoring Reports; “Students worldwide are failing.. with 250 million children unable to read, write or do basic mathematics and 120 million who haven’t even reached grade four.” Visit IBM Watson to help bring education into the cognitive era. “By 2050, there will be trillions of self-replicating robot factories on the asteroid belt, between the planets Mars and Jupiter” with a further prediction “In a few million years, robots will naturally explore the galaxy out of curiosity, setting their own goals without much human interaction”. An event resonating with the story told in the futuristic Sci-Fi smash hit anthology series “The Expanse”, set in a future where humans have become interplanetary and established civilizations on Mars, including floating asteroid mining facilities in the belt near Jupiter, using advanced Ai controlled robotic systems. 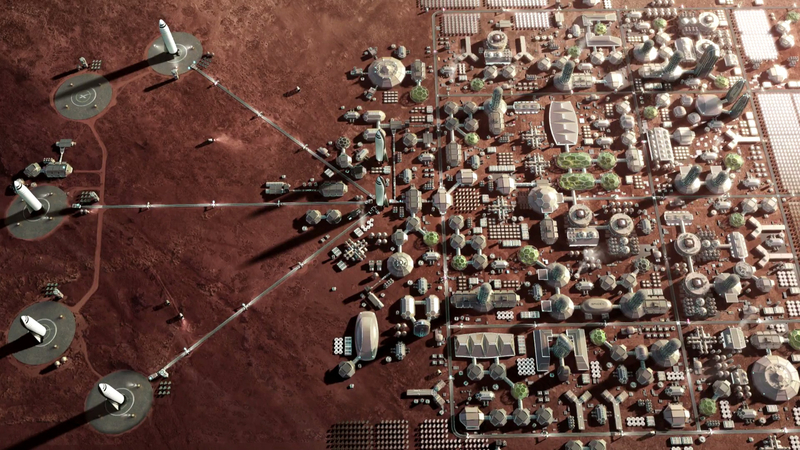 “the technology will help humans in the gathering of resources, most abundantly found in space. In particular, deep learning neural networks- designed to mimic the human brains neural connections, and capable of learning by continuous exposure to tons of sensory data- can execute image and speech recognition, navigate and drive through the enormous constellation of galaxies, carry out medical diagnosis and engage in pharmaceutical research”. 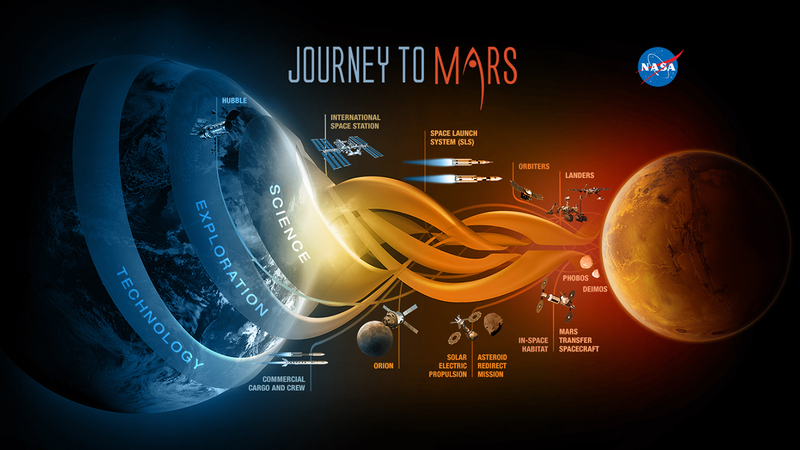 Based on existing technologies, a viable and cost effective solution in my opinion to explore neighboring planets like Mars and Saturn’s methane rich moon, Titan, will be to transport advanced humanoid robots onto these planetary bodies and control them from Augmented Reality terminals on Earth, enabling scientists to build critical infrastructure like habitats, power stations, water filtration systems, greenhouses, waste management systems and oxygen generation systems. Leveraging the re-usable rocket technology from companies like SpaceX Falcon-9 and Falcon Heavy booster systems, essential building materials can be transported to build these facilities, ready years before humans make the ambitious maiden voyage to explore any planet in our solar system. An engineering firm ENGEO in 2015 created an online service via the IBM partner program named GoFetchCode, applying Watson’s natural language processing and question-answering capabilities to the International Code Council’s model, building codes. Ai computers will give us the ability to write more efficient codes that require less time to compile and as little as 1 watt of power to run. IBM announced in August 2016, Watson will be used to forecast the weather of Earth, by analyzing data from over 200,000 Weather Underground personal weather stations, and data from other sources, as part of project Deep Thunder. Climate change has been a hotly debated topic for scientists, with thought leaders on both sides of the argument about whether burning fossil fuels like coal, gas and crude oil, actually increases the level of CO2 and other greenhouse gases like methane, causing our planet’s oceans to rise in temperature. Watson can provide the analytical capabilities to compare historic data, and help scientists develop more efficient machines and technologies to help save the planet from irregular climate events. Financial services all over the world have seen a drastic change in the delivery of products to consumers. From digital card payment systems to more disruptive cryptocurrencies, the next few years are already promising some ground breaking technologies using Blockchain network. H&R Block in 2017 began using a Watson-based program for tax preparation. World applications of Watson can be found in creativity too, partnering with Marchesa to design a dress that changed colour of the fabric, depending on the mood of the audience, analysed from Tweets passed through a Watson tone analyser, and then sent back to a small computer inside the waist of the dress. Researchers are constantly at work, testing various tools and algorithms designed to solve large number of problems. Bayesian networks for example can be used for: reasoning (using the Bayesian inference algorithm, learning (using expectation-maximization algorithm), planning (using decision networks) and perception (using dynamic Bayesian networks). Complex advertising applications like Google AdSense leverage this technology to choose what ads to place against user search queries, and the same probabilistic algorithms are used to rate and match players in Xbox or PlayStation multiple player game - Call of Duty. Watson can help researchers analyze large amounts of experimental data, and simplify algorithms to solve complex problems. In May 2018, IBM unveiled a computer smaller than a grain of salt. It has the power of an x86 chip made in the 1990s, and contains several hundred thousand transistors. The tiny chip also functions as a data source for the Blockchain network, leveraging the power of Ai to detect fraud and pilfering, along with the ability to track shipments of cargo anywhere in the world. At the firm’s Think conference, where this prototype was showcased, publications say the machine will cost under $0.10 to manufacture, generates power using tiny solar cells and predicted to be embedded everywhere within the next 5 years. Doubters of cryptocurrency technologies becoming mainstream can think again, because these chips can be used to build an even larger worldwide Blockchain network, which is a logical start point considering the numerous applications of Blockchain; the most exciting of them being the idea to design air traffic control systems of flying cars and drones in the near future using Blockchain technology. As a tool, Ai system integration gives us an advantage to monitor numerous and complex streams of data, which would take humans many years to analyze the information of countless data types and make logical sense to apply the knowledge in the real world. 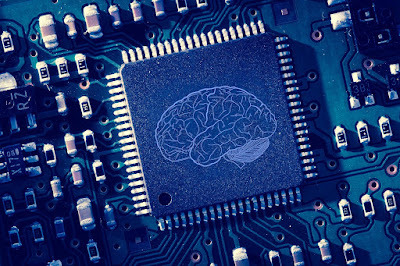 IBM’s TrueNorth, a so called “cognitive chip”, remarkably resembling the human brain, with 4,096 cores combine to create about 1 million digital neurons and 256 million synapse connections. In a grand scheme, this chip acts like our complex brain organ, operating extremely quickly while consuming less power than typical processors. Samsung has now adopted and plugged this chip into their Dynamic Vision Sensor (DVS) system for processing digital imagery using computer vision technology. Unlike traditional digital cameras that max out at 120 frames per second, the DVS equipped system can capture an astonishing 2,000 fps, useful for creating 3D maps and gesture control systems. An integrated system like this only consumes about 300 milliwatts of power, equating to about a hundredth the amount of power required to run a laptop processor. Hardware companies like Hewlett-Packard have announced using integrated Ai systems for their HP Insights, monitoring the states of countless hardware located in data centres all over the world. There is still a lot of research and development required however, to approach the optimal power requirement of the human brain to process information; estimated to process some tasks with 100 million times less power than a computer. We hope this article sheds some light on IBM Watson, what the hardware and software is made of, and how it offers scientists and researchers great tools to develop complex problem solving systems. You can head over to Watson Technology in Action page, where you get to discover some of the great novel ideas currently being developed. Do leave your comments below about any real world application ideas in your fields of technology. Exciting times coming ahead as government leaders scramble to readapt the delivery modes of education, to help new children adapt to the changing faces of technology. We would like to thank you for investing your time with us.